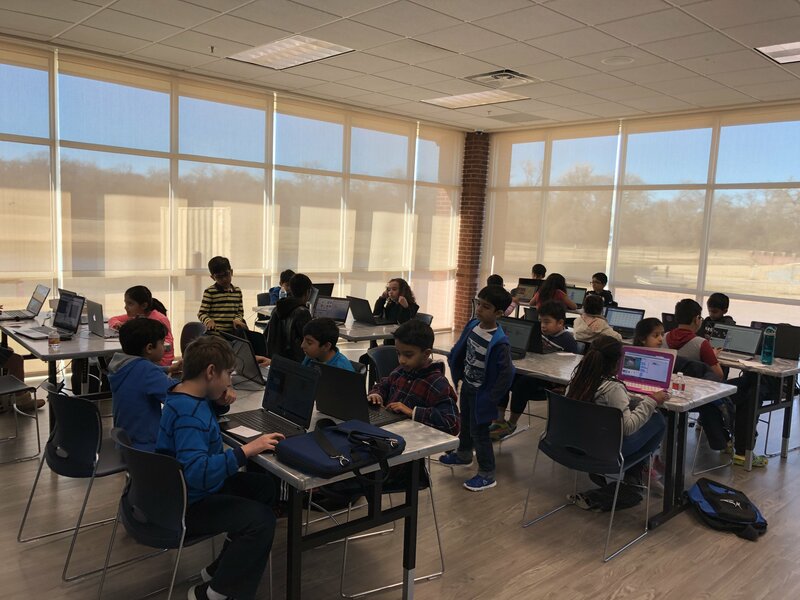 Young learners from over 15 elementary schools from Lewisville ISD, Coppell ISD & ResponsiveEd participated in Robotics and Coding hackathon on December 15th. Competition was fierce, but participants were well prepared and ready for the challenge! 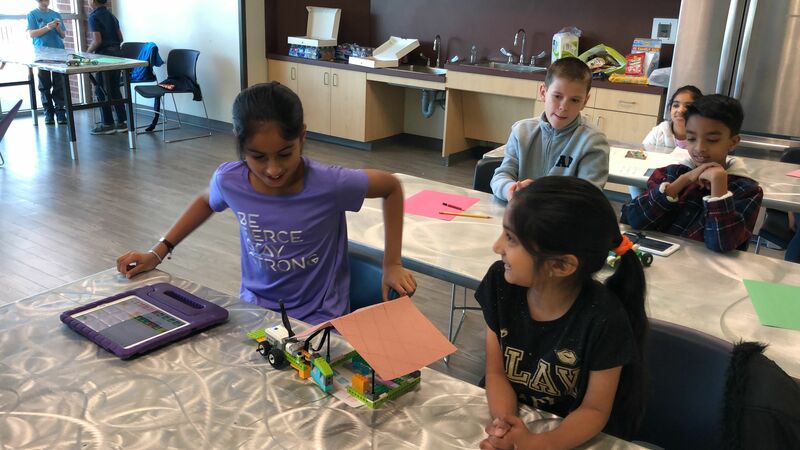 Imagination ran wild and result was ultra creative and innovative projects! 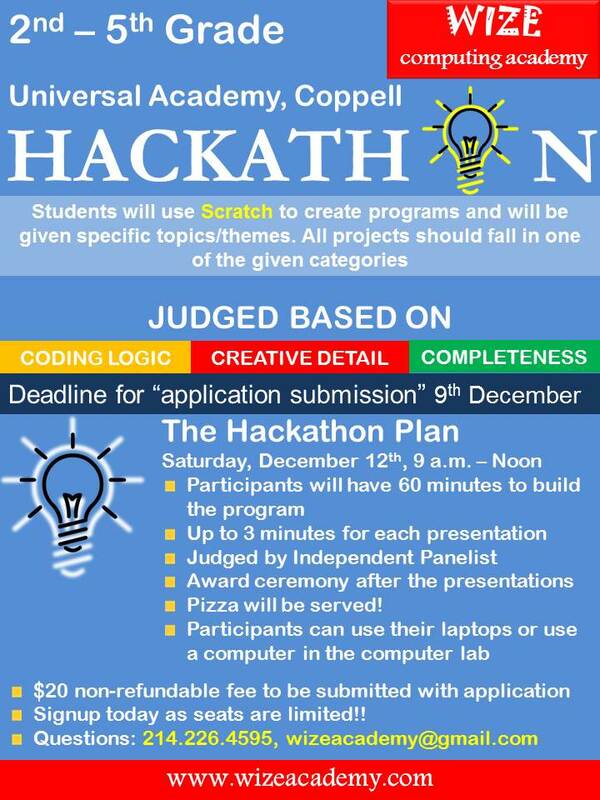 Highlights from a very exciting and engaging hackathon! 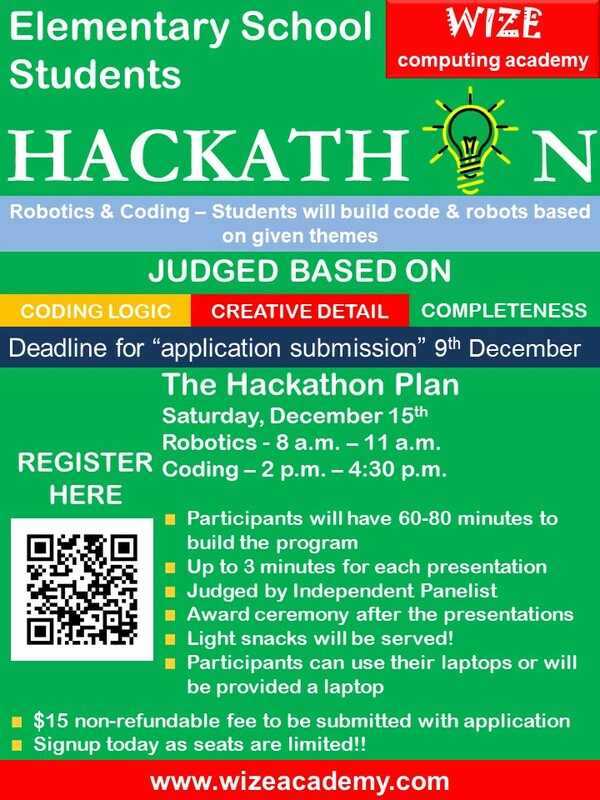 Participants for both coding and robotics were given specific themes and 60 minutes to work on their creation. 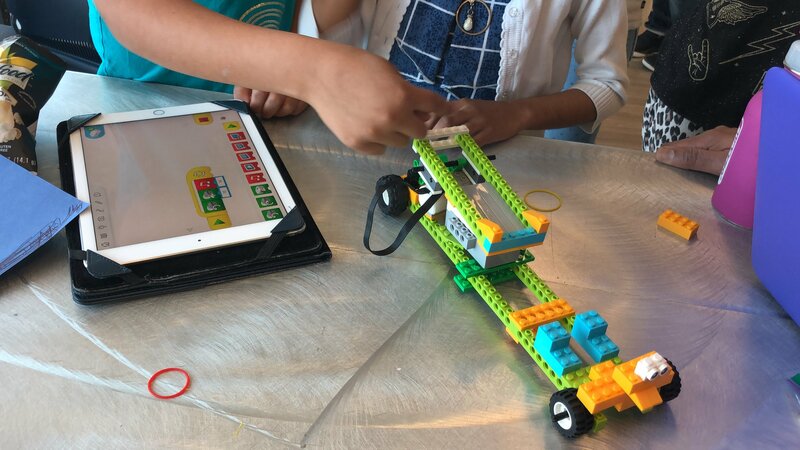 They had to decide, build, code and work on their presentation in the given time. Overall awards were judged based on creativity, completeness and presentation. Special awards were given to most creative, best presentation and best idea projects. 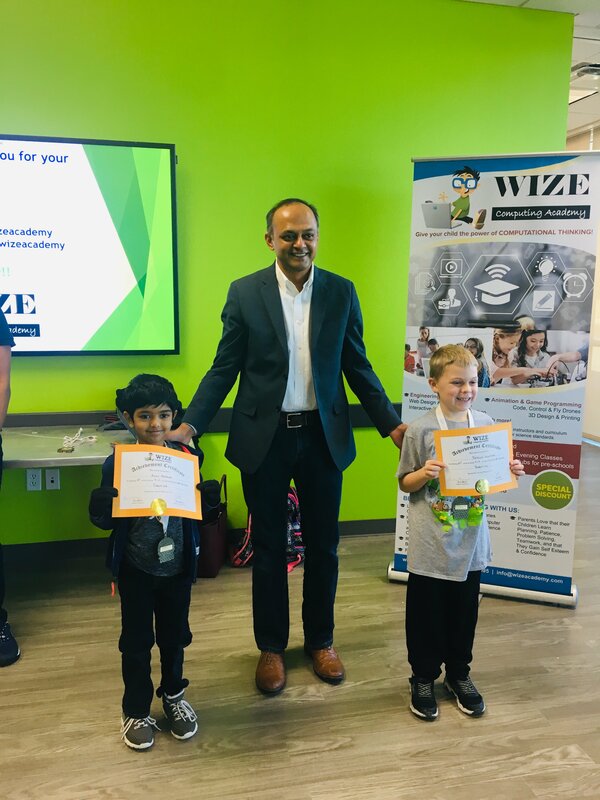 Overall 1st place in grades K-2 was awarded to Patrick Whitmore (2nd grade - Liberty Elementary School) and Anay Patalay (1st grade - Coppell Classical Academy). They built a car with eyes and programmed it to move forward and backward. (Click on the picture to view the video of presentation). Overall 1st place in grades 3-5 was awarded to Alexander Rivera (5th grade - Towncenter Elementary). He built a 'spaceship muffins' game. (Click on the image to watch the presentation). 2nd place was awarded to Dhanush Murthy (Founders Classical Academy, Flower Mound). Overall 1st place in grade K-2 was awarded to Asma Murtaza (2nd grade - Towncenter Elementary). She created an animated story about the 4th of July. (Click on the picture to view the presentation). 2nd place was awarded to Allen John Sumesh (Valley Ranch Elementary). 3rd place was awarded to Hridik Chhajed (Towncenter Elementary). 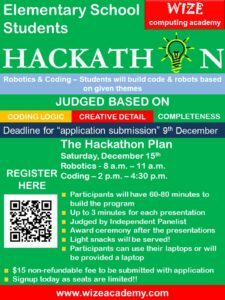 Individual presentation videos & pictures for both robotics and coding competition can be found in the link below. 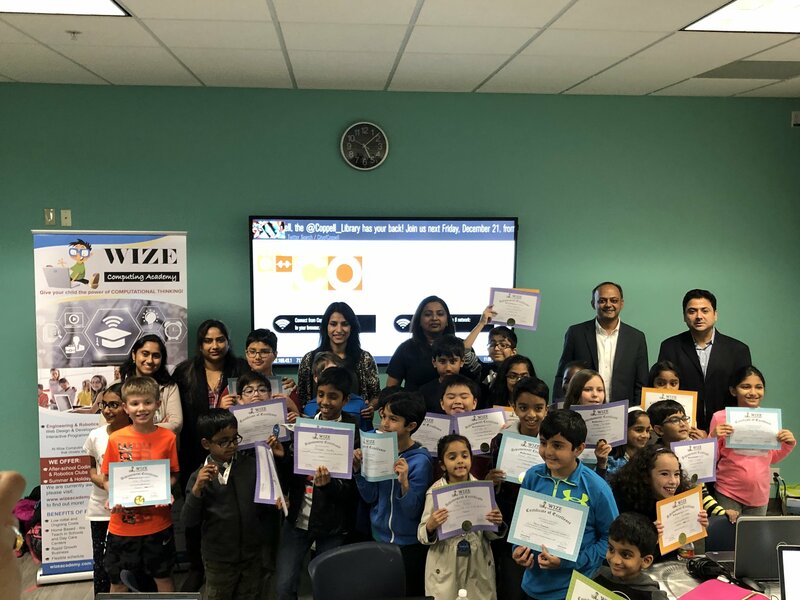 Wize Academy conducted 1st ever Hackathon @ Universal Academy, Coppell on December 12th 2015.